Hudson Valley Web Design & Development in Ulster County, NY: J.T.S. Design, Inc.
Providing Custom Solutions For Your Web Development Needs. J.T.S. Design, Inc. is a Hudson Valley Web Design & Web Development company located in the Ulster County area of New York. 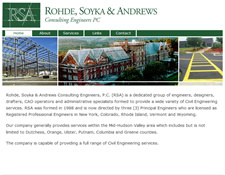 We've served the Hudson Valley region and clients nationally for over 15 years. J.T.S. Design, Inc. offers a wide variety of web services that include website maintenance, responsive (mobile-friendly) website design, custom website development, and e-commerce solutions.